If I find purple shoes, I usually want them. If I find purple shoes that are comfortable and made of soft leather, I need them. These 'Tanzania' shoes from Indigo by Clarks are a need-to-have shoe. I have two pairs of Indigo shoes. Wearing them feels a lot like having my feet hugged by leather pillows all day. They are extremely well constructed shoes. Indigo also does a great job of making them adorable. 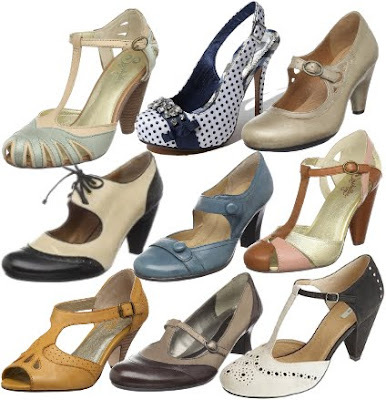 These shoes will be great for everyday summer wear and will work well for spring and fall. (I can just see them with colorful tights!) If you don't love purple, there are several other colors. Zappos has them in black, dark brown, and purple for $100. Endless has them in black, dark brown, purple and tan for $89.90 to $99.95 depending on the color. Shoebuy has red, black, brown and purple. And Piperline has the purple on sale for $79.99 but in very limited sizes. Do you still have your purple shoes? 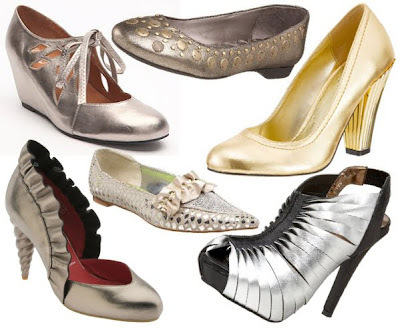 If you are a size 6, do you want to sell them?!! !